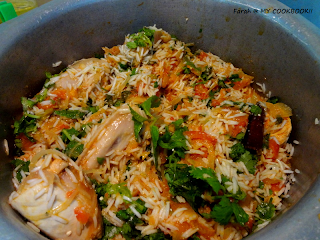 Iv made this recipe more than a dozen times...and it just keeps getting perfect. I remember the first few times when the rice was sooo overcooked that you did'nt need teeth to chew. Or the times when the masala was too much and the rice was too little......vice versa! So only practice makes perfect children! :) We all learn from our own mistakes. Dont we?? 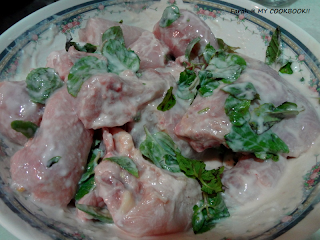 Marinate the chicken in the yoghurt and quarter of the mint leaves/ coriander leaves and keep for atleast half hour. In a big wok or pan heat some oil. Throw in the cardamoms, cloves and cinnamon. Add the onions and saute. 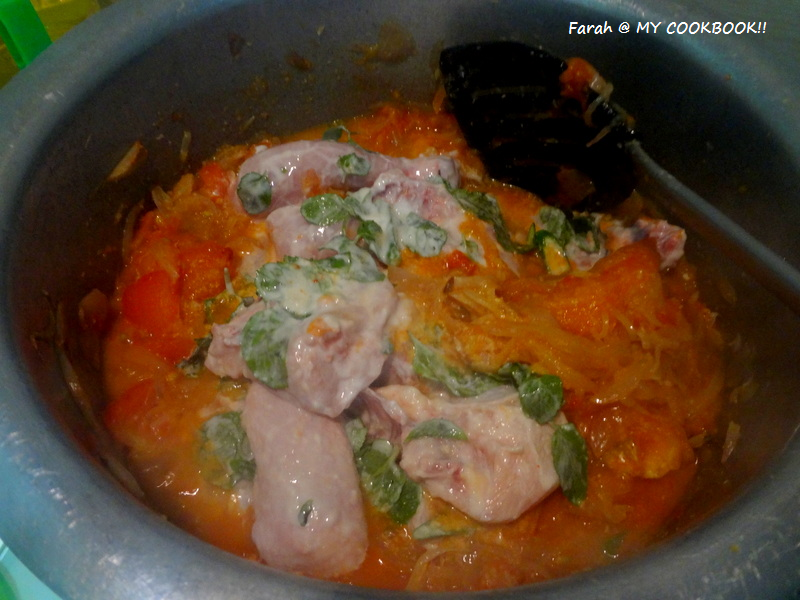 Add the green chillies. 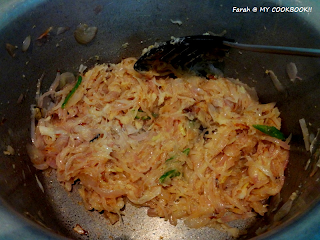 Stir till the onions become slightly brown. 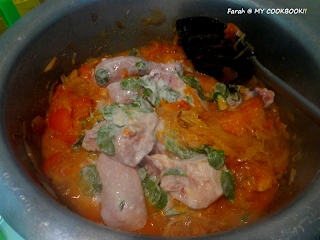 Add the tomatoes and stir for a minute. 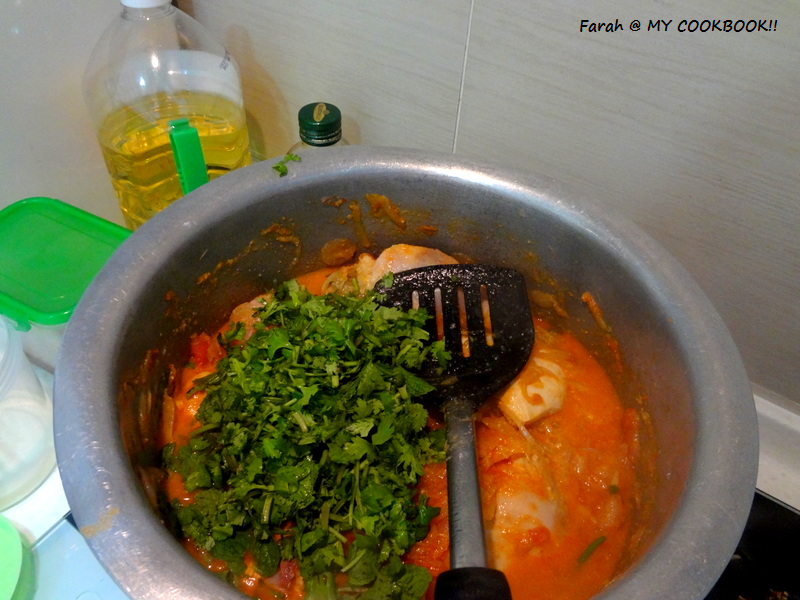 Add the chicken and stir till it gets coated by the onion and tomato mixture. Dont add water. As the chicken cooks it will leave water. 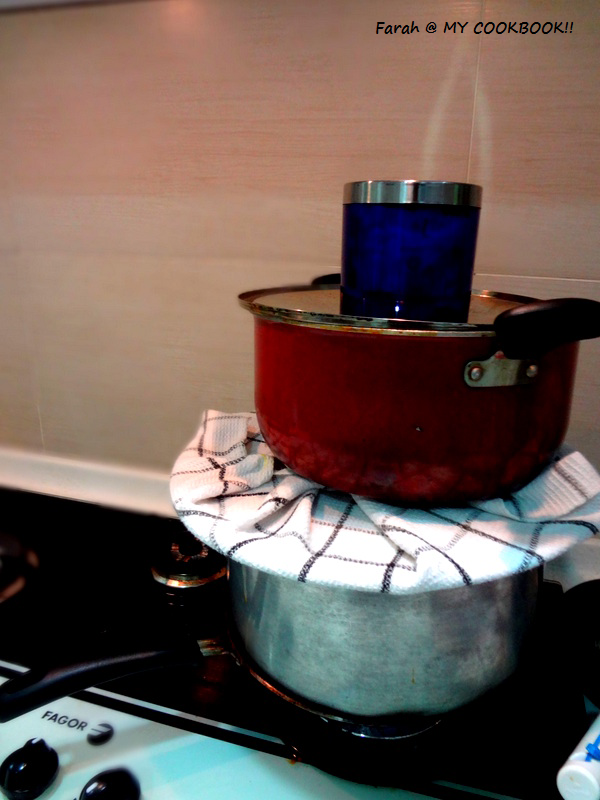 When the chicken is almost done, on another stove cook the rice in water. Dont let it cook fully. Switch off the flame when the water starts bubbling for the first time switch off the flame. Now the chicken must be cooked. Squeeze some lime and taste. Mix well. Drain the rice and save the water. 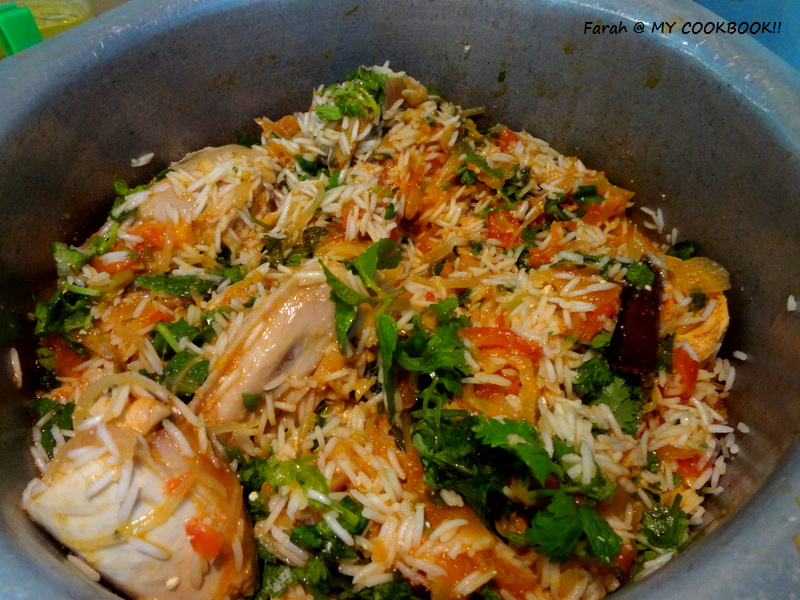 Now in another big pan, arrange the layers of chicken and rice and adding mint leaves/ coriander leaves in between. 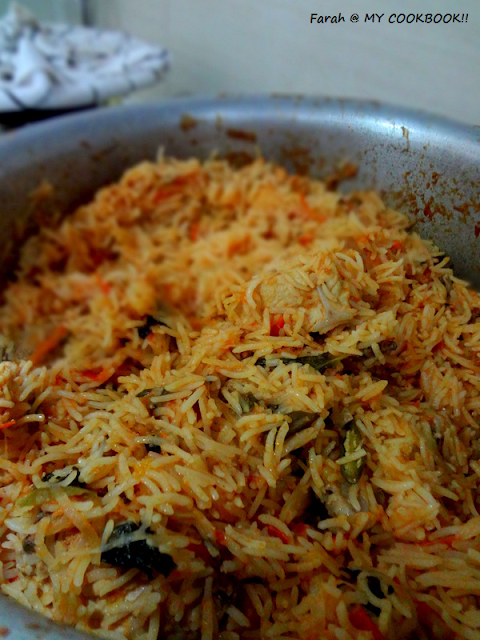 keep the flame on low and let it cook for about 8-10 mins or untoil the rice is cooked through. if you want to make it spicier dont add more chilli powder. It changes the taste. Add more green chillies instead. dont stir the rice too much or else it will break. Thats why we layer it...so not much stirring is required. 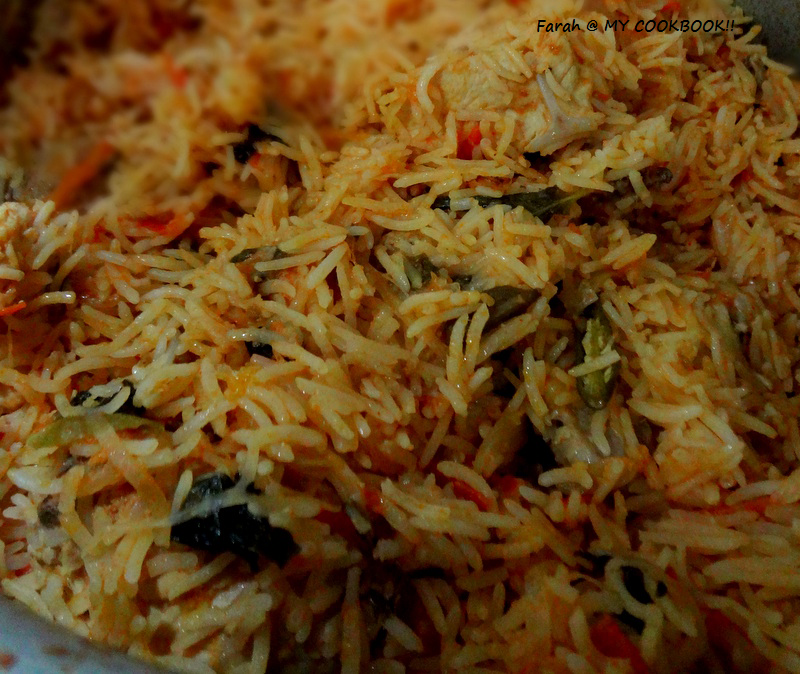 Luv this biryani all time...My fav. Omg, look at those cooked grains,omg cant take my eyes. bookmarked it :) happy new year dear..